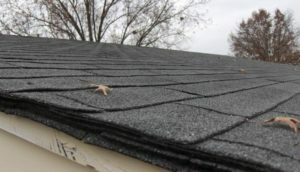 There are many different ways you can initially contact Northwest Roof Maintenance, phone call, e-mail, third party websites like HomeAdvisor, an estimate request form on our website, etc.. No matter what method you use, one of our friendly and professional office staff will be your first contact. They’ll gather the information needed to contact you again, and then get some information about your roof. Once this information is gathered they will set up a time to have one of our consultants out to take a look at your roof. Our roof consultants have experience inspecting and accurately diagnosing a variety of roof types, pitches, problems, etc.. They will always come physically inspect your roof in order to accurately assess what your roof needs. Their goal is to best help you determine what will be best for your specific roof and they will never try to push something you don’t want or don’t need. If you have a leak or attic issues we will ensure you are home so our consultant can get inside. But if all the work is exterior we make it easy on you and can do the inspection without you home so you don’t have to rearrange your schedule! Once they have inspected the roof they will send you a written version of the estimate via email (or if your prefer hard copy in the mail). This is to ensure that there is no miscommunication that can happen with verbal estimates. If at this point you have any questions or concerns, you can easily reach the consultant who looked at your roof via phone or e-mail! Once you’ve had any questions answered and had a chance to make a decision, if you want to get the work scheduled you just let us know! We will let you know how far out we are and then you can just sit back. We will keep an eye on the weather, find an optimal day to get your work done, then we will call you to confirm that date works for you! Then comes the work itself. On the day of the work you can expect one of our crews to arrive ready to get to it! They’ll let you know they are there, will perform the work efficiently and professionally, then let you know when they have finished. If at any point the crew determines additional work is necessary due we will ALWAYS check with you before doing something that will change the estimate amount. Once the work is complete the crew will provide you with a copy of the invoice. We want payment to be easy for you, so we accept either check at the time of service or any major credit card! The next business day or two you will get a call from our office, following up to make sure that you are satisfied with the work done. Our goal is 100% customer satisfaction and we want to give you the chance to provide feedback or ask questions! If for any reason there are issues with the work done, we will work with you to get things resolved quickly! At this point you are left with a roof that is better than it was before! So there you have it, the simple outline of our process from first contact to final product! Of course different situations will call for slight variations in this, but roughly, you are now ready to call us for your Complimentary Estimate! Contact us at 503-740-4808 or 360-910-8938 they both ring in our office, OR email us at office@northwestroof.com ! April Showers bring May flowers, unless you live in the pacific northwest, then April showers just bring May showers. Sometimes we are lucky and we get that nice, warm, sunshiny spring full of flowers and butterflies and warm breezes. Either way those April showers promise us one thing – Moss. 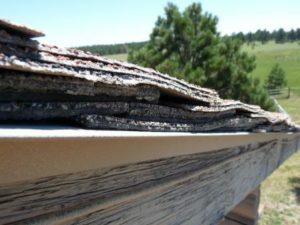 The green monster on your roof brings with it shingle deterioration, risk of lifting and loosened shingles, and the threat of water leaking into your attic and your home. Taking care of cleaning your roof isn’t the only thing we do here at Northwest Roof Maintenance, but it is one of the things we specialize in! We care about your roof, and we care about you! 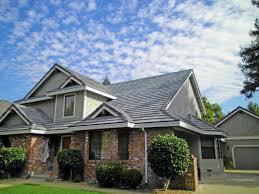 Our mission is to provide you with outstanding roof maintenance service every single time you interact with us. That service includes your interactions with our office staff, our consultants, and our technicians. It also includes the actual servicing of your roof. We strive to provide the best care your roof has ever had! 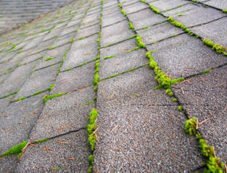 This means we have to know not only how to get rid of moss, but how to do it in a manner that is gentle and safe for your roof. It starts from the very beginning of our relationship with your roof. We’ve had people ask why our consultants have to get on their roof if they are only wanting a cleaning done. Can’t they see the moss from the ground? Well, yes, they can see the moss from the ground, but what they can’t see from the ground is the condition of your shingles, the thickness of the moss, and any other surprises the technicians might run into. By visually inspecting the roof we are doing two things. 1) we are ensuring that we are offering you a service that will be beneficial for your roof, in its current condition. 2) we are respecting you. By ensuring we know what we are getting into we can better provide you with a price that will not change the second our technicians get on the roof and we are ensuring that you are fully aware of the status and condition of your roof. We earnestly believe that as the homeowner you have the right to know what’s going on with your roof! In order to provide you with that knowledge and information it is key that our consultants be up to date on the safest, most efficient methods of moss removal as well as know the different ways to treat and prevent moss. This is why many of our sales consultants start out as technicians – so they get that hands on, actual experience training, before they diagnose your roof! When our technicians step foot on your roof you can rest easy that they are prepared to handle your roof specifically! From bringing appropriate supplies, to knowing the condition so they can safely and gently access it. Everything our consultants note about your roof gets passed on to our techs. We are constantly pushing our technicians to learn and grow, so you can know that they are up to date with exactly how to best care for your roof. They don’t take the easy way out, or skip the areas no one will ever see, they do exactly what we tell you they will do, how we tell you they will do it! Let’s talk about that for a second – how we do it! Some companies will try to tell you that’s it completely fine to do a pressure wash of your asphalt shingles, the reality, however, is that a pressure wash can hurt you in more ways than one. Pressure washing, be it high pressure or low pressure, can loosen the granules on your shingles causing premature failure and can vastly shorten the life of your roof. Pressure washing asphalt can also void many insurance policies and warranties! So even if it seems like a more efficient or cheaper option in the moment, the long term costs can cause you big ticket problems. That’s why we brush off, blow off, and treat asphalt shingles. By gently loosening the moss and removing it from the roof we ensure that your shingles stay in tact and functioning as well as when we started! What about cedar and tile though – can’t those be pressure washed? Yes, in general! But that comes back to ensuring you aren’t just getting a one size fits all cleaning of your roof. Our consultants and technicians ensure your roofing materials are in a condition of a material that won’t be damaged by pressure before we suggest that as a recommended method. No matter what method of cleaning we recommend for your roof, you can know our technicians will do it with care and professionalism. Once the job is done, our office staff will connect with you again to make sure you are satisfied! We stand behind our values, and ensuring your experience with us is a good one goes beyond the end of the work. If we didn’t live up to our end of the bargain we do what we can to make it right! If at any point, from first call to a happy ending, you can reach out to our friendly office staff at any point, we are here for you!